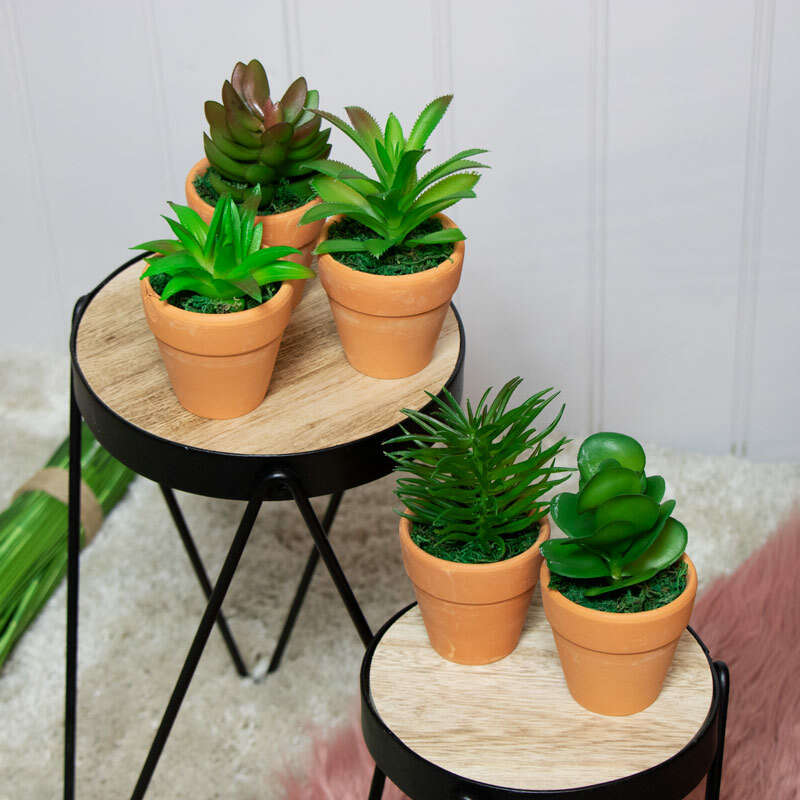 A set of 5 artificial, botanical faux succulents. 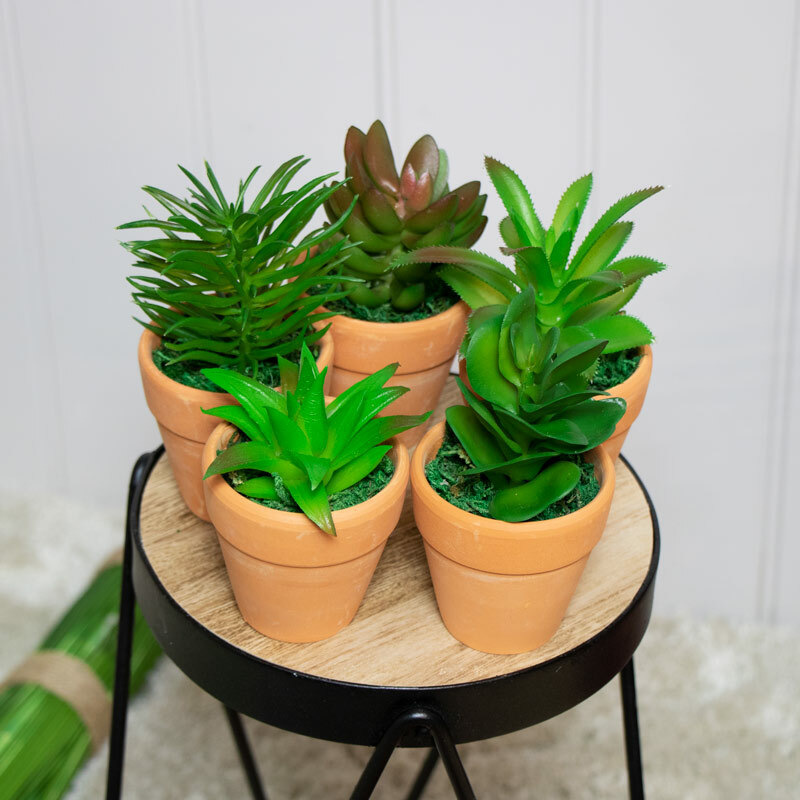 Each individually potted perfect for showcasing individually across the home or as a group. Ideal for sitting in the kitchen, living room or even in the bathroom to add a little colour. Each fake plant has a real look of nature and is surrounding by artificial moss adding to its life like appearance. 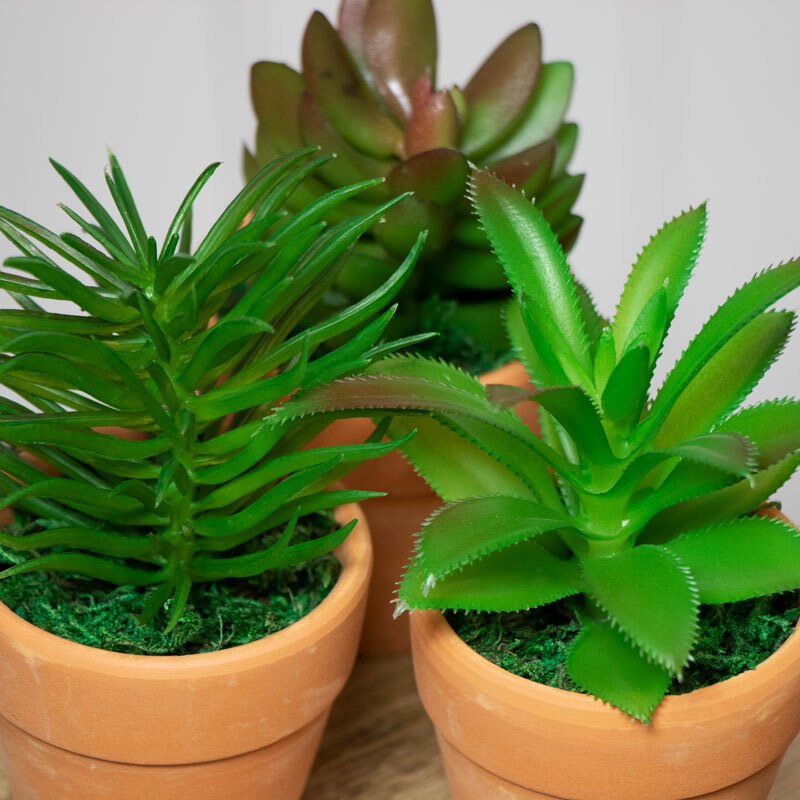 A set of 5 artificial, botanical faux succulents. Each individually potted perfect for showcasing individually across the home or as a group. Ideal for sitting in the kitchen, living room or even in the bathroom to add a little colour. A must have for some one who would love plants but has no time to maintain real ones.